*President Donald Trump flatly declared at a press conference three days before his January 20 swearing in as the 45th president of the United States that he would provide “insurance for everybody” in his replacement plan for the Affordable Care Act (ACA), Obamacare. He made a passing reference to getting tough on drug companies and making them deal directly with Medicare and Medicaid to drive down prices. But that was that. He provided absolutely no details as to just what this replacement plan would do to insure nobody was left out in the health care cold. 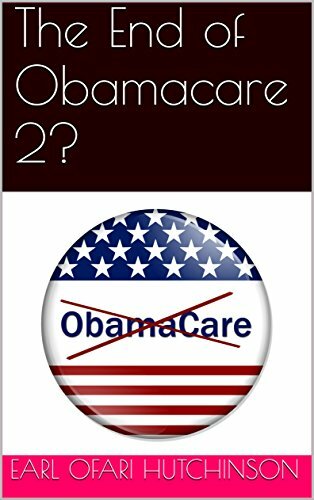 Political analyst Earl Ofari Hutchinson in his second in a series on Obamacare, The End of Obamacare 2?, provides a laser analysis of the GOP’s plan to replace Obamacare, and why it is designed to fail. This question was asked the dozen or more times that the GOP controlled House voted to repeal Obamacare in the six-year span from 2010 through 2016,” says Hutchinson, “It was asked again of Trump when he demanded a quick repeal in 2017. And, again, the answer was a hodge-podge of piece work, patched together, proposals that didn’t come close to answering the question: what does the GOP have that’s better and will do what Trump claims, “provide insurance for everybody”? The End of Obamacare 2? is part of a series that examines what the GOP claims it has that’s better than Obamacare, why and how the GOP kept alive its war against Obamacare in the years after it became law, how the issue was not about Obamacare but Obama, and what many Americans really think about Obamacare. The End of Obamacare 2? is an impassioned challenge to preserve and cherish the one law that has literally made the difference between life and death for millions of Americans. It has brought them in out of the health care cold. affordable care actearl ofari hutchinsonobamacareThe End of Obamacare 2?